We like to see our apartments as a blank slate. The white walls are screens to project your life, persona, and history. With some strategically placed command hooks, you can create a gallery wall that pays homage to your art, affix an inspirational quote, or hang some family pictures. Despite this, there are some things that need a little extra work or clever hacks. These renter-friendly apartment do it yourself (DIY) projects will keep everyone happy and your space looking tidy and unique. A strategically placed mirror can do wonders. Mirrors offer more than just reflections, they can enhance your space and give the illusion of a larger room. Unfortunately, most mirrors can be expensive and heavy. DIY blog, Coopcrafts, shows how you can temporarily transform any mirror in only a few minutes. 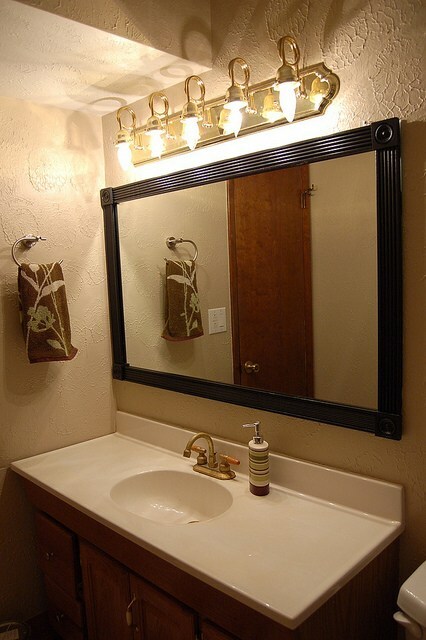 With some well-placed velcro and a little bit of elbow grease, any mirror can go from dull to delightful. To achieve this, all you need is some molding, paint and velcro. If you get the molding from Westlake Ace Hardware—here in Lewisville—Home Depot, or Lowes, they can cut it to size for you. Then, paint it, affix the velcro, and you have a whole new look! Once you’ve had enough, or want to get that deposit back, just remove the velcro! Just use goo gone to get rid of any residue. A bright colored frame can make your room pop, or a subtle shade can help tie the whole room together. Your style options are up to you. It’s your home, make it personal. What Would You Do With a Rolling Cart? Are you ever at a loss for space? 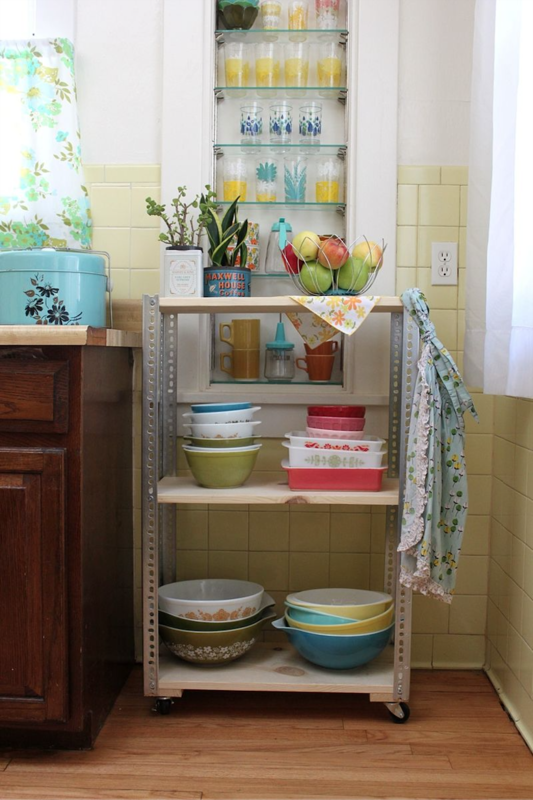 Sometimes, shelving is be limited and can leave us wondering what to do with our stuff. We understand sourcing storage options can be exhausting; but, you can maximize space by going up, not out. To harness this, have you tried a rolling cart? If not, you should seriously consider it. Rolling carts can be an essential piece of apartment decor if made and used correctly. With some power tools, cut wood, hardware, and paint, you can make a customized cart for anywhere in your house. Make a short end table, a long bookshelf, or a tall, skinny cabinet; your options are endless. Lifestyle blog, A Beautiful Mess, shows how you can customize this project for your specific needs. Check Westlake Ace Hardware, Home Depot, or Lowes for all your supplies. This project shouldn’t take too long, and if you have your wood pre-cut for you, it could be done inside. Just remember to put down a drop cloth. These projects may look intimidating, but trust us, they’re not! If you have a weekend afternoon free, that would be the perfect time to tackle these DIY decor pieces. There’s nothing more rewarding than personalizing your space with something you created. Do you have any DIY decor projects on the horizon? Drop a comment and let us know!